It’s estimated that more than 3 million American over the age of 40 suffer from glaucoma. The condition is incurable, but it can be managed with early detection and proper treatment. The eye care specialists at our Bakersfield, CA vision center are pleased to offer advanced treatments for glaucoma that help prevent total blindness. While treatments are rather successful, they do result in some side effects and have a risk of potential complications. We’d like to go over some of the warning signs and complications associated with glaucoma and glaucoma treatment below. The telltale side effect of glaucoma is progressive vision loss. This could begin as patchy vision, affecting your peripheral vision or your central vision. With time, these vision problems will become worse. In addition to vision loss, you may notice distorted vision over time. Straight lines may appear curved, reading becomes more difficult, and you might even have problems recognizing people’s faces. As your vision becomes worse, your eyes may strain more just to accomplish simple tasks. This can lead to eye fatigue, which can also lead to mild to severe headaches over time. Associated more with angle-closure glaucoma, the pressure within the eyes may result in frequent bouts of red eye. This irritation couples with other warning signs is a sure cause for concern if you are at risk for glaucoma. Also associated with angle-closure glaucoma, the pressure in the eyes can lead to pain and soreness. This is far beyond normal eye strain and eye fatigue, and it needs to be taken seriously. 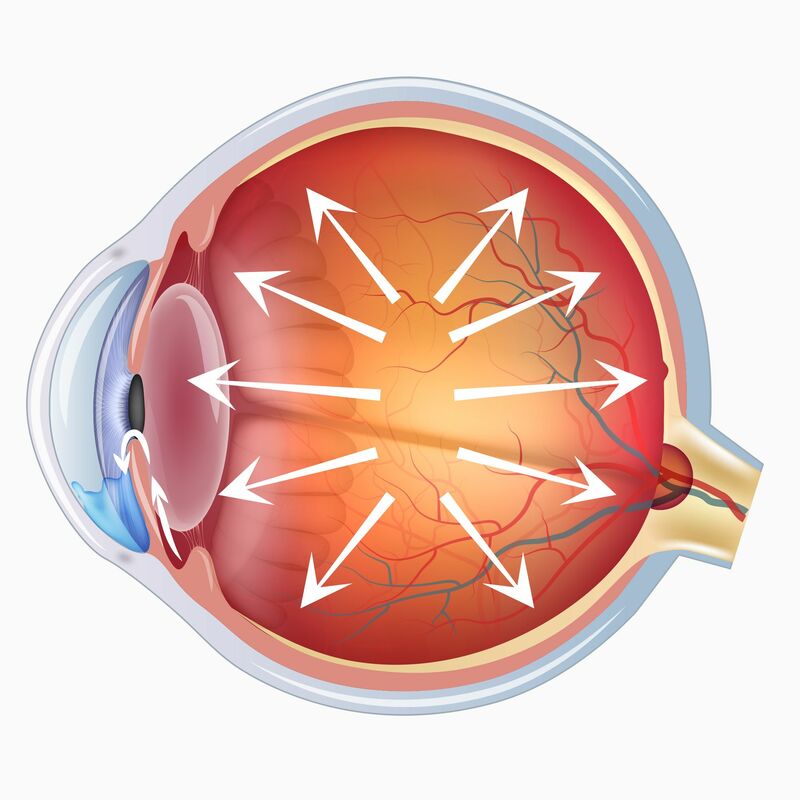 If you undergo surgery to address your glaucoma, your rate of vision loss can be slowed if not halted completely. However, people who undergo glaucoma surgery are also more likely to develop cataracts later in life. Such is the risk of any kind of eye surgery. Medicated eye drops are a common non-surgical approach to managing glaucoma. One of the potential complications/side effects of prostaglandins includes darkening of the irises. Patients may also experience changes in eyelash color and changes to the color of the skin around the eyes. Beta blockers are another type of medication used to address glaucoma. Lower blood pressure is among its side effects/complications. By contrast, alpha-adrenergic agonists can lead to higher blood pressure. Before taking either of these medications, it’s important to consider any blood pressure issues you currently experience. Your health issues can impact the safety of these treatments. On the note of beta blockers and alpha-adrenergic agonists, both of these drugs can also affect your heart rate. Beta blockers will slow your heartbeat down, while alpha-adrenergic agonists will speed your heartbeat up. Carbonic anhydrase inhibitors are rarely used for the treatment of glaucoma, but they can benefit some patients. When these drugs are taken, patients may experience a metallic taste in their mouths, which can be annoying and discomfiting. Another complication associated with carbonic anhydrase inhibitors is a tingling sensation in the toes and fingers. The side effect is generally not serious, but it can cause some concern among patients. When glaucoma patients take miotic or cholinergic agents, they may stop further vision loss, but could experience worse vision in the process. These drugs can result in smaller pupils. This leads to dimmer vision, and could exacerbate a person’s nearsightedness (myopia). For more information about preventing glaucoma, managing the condition, and what treatment are available, be sure to contact Southwest Eye Care and Laser. We will help you maintain your vision and lead a healthier life in the process.